I received my first ever tarot reading in a dream from a man I do not know in person. We were at a city in which the sky was purple. There were tall buildings all around; something told me we were at the heart of a city. We sat in a dimly lit room with a gorgeous white linen cloth covering the table and five cards resting over it. 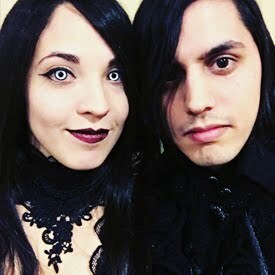 He was very interactive with his reading; I felt as if I was sitting before a warlock. 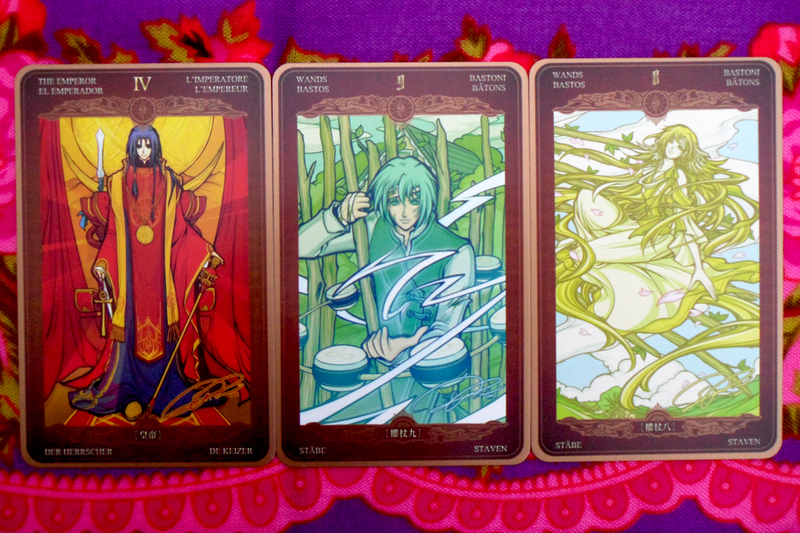 The whole reading revolved around the Seven of Swords, from which he told me I should stand my ground and not give up. He spoke with earnestness about the trip to LA and Japan coming up, and wrapped up the reading after a lengthy conversation. On the way out, he told me that I had a package waiting for me at my mailbox. He said that it was special and that I would recognize it as soon as I saw it. Surely enough, there it was when I got home. I had received an anonymous package and message from someone I knew. 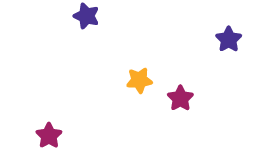 The paper cover was dark purple with chalky yellow stars hand drawn on and sprayed fixative over. There was a letter inside with three other items, one of which was a shipping proof for a brand I did not recognize. What caught my attention the most was the letter found on the inside. “I really dislike Hermes,” it read. The letter was brief but heavy with meaning. There was something about the Moon’s relevance and a personal declaration, but I don’t remember much more. Woke up this morning to be beautiful streaks of the rising sun going through my window. The whole area glowed as if brought to life. found myself in school for a reprise performance at the auditorium. It was a play that had added elements to it — it was really interactive, everyone was into it. There was a part in particular I was looking forward to; when she got shot in the head. Wow, that was pretty crazy. When it happened, it was exactly as I remember it. A giant gun was pointed at her head to impress the audience, but the person would back down and another person would come up with an injection gun. Everyone screamed in horror as the gun was inserted into her arm and ‘fired’. After that, many people were able to grab treats or dinner. I found myself with a lively pair of brothers I haven’t seen in years. In fact, the last time I had was in second grade. We sat together in the cafeteria until 5P.M., having one of the most colorful conversations at that age. I find myself sitting on a bench at the Caribe Hilton, not too far away from where G and I spotted the two black swans. It’s daytime and the crowds are very different from last time’s party-goers. As I sit and wait for J to come pick me up, I realize Lady Gaga is walking past. She is singing at the top of her lungs in public and breaking into a dance now and then. My eyes pop out of my head when I realize it’s her, but I sit still. She walks over, asphyxiated from the heat and removes her Galliano jacket. Within seconds, she throws it over to me and asks for me to hold it, then winks. I almost fell out of my body from the shock. She kept on singing songs I was familiar with, so I started singing as well to join the crowd. It was really stellar to see her up close. The minutes passed and I pulled J’s belongings closer, worried that he hasn’t made it yet. She saw I was holding a bunch of things and she had me put them with her stuff so we could enjoy, “stress-free”. We all sat and sang together and hung out. When she came up to me, I asked for a photo. I told her about my boyfriend and me at the Born This Way Ball and she looked at me through hazel green eyes. She seemed shy and a little uncomfortable with the story, but she smiled real wide. She remembered my name from when I introduced myself. I was so nervous. I was going to get a photo with her for J and I saw that he was calling. He was crying because he was at his apt and his car had been taken away. It killed the mood right off the bat. I was having trouble hearing him because of his broken sobs. When I woke up, I felt sad enough from the dream to be confused. Hearing his happy voice on the phone helped dissipate the confusion. Somehow we all ended up at her house. The girl with the camera, you know the one. She has large eyes, umber colored hair and she changes quicker than the seasons. She used to be the reason you breathed. It was a two story house and it was quite accommodating. She was acting spoiled, in fact she avoided the group altogether. While we were all in one place, she roamed the house to be free from our stare. She didn’t like any of us, and that much she made clear. Seized by unfamiliar curiosity and ill-intent, I decided to break into her studio. She guarded it jealously as if it was her best-kept secret. A missed opportunity, and soon she was tailing with fury. She wanted revenge and she would stop at nothing to get it. We collided. Her hands were around my neck, we tumbled down the stairs but nobody else noticed. Violence radiated between the two of us. The struggle pushed on until I managed to break free from our hateful embrace. It was resentment versus jealousy, and neither one of us would come out of this unscathed. In a narrow escape, I managed to make it to my own smart home. Riding the elevator up, metal armor embraced me like a second skin. Once I was inside the futuristic setting, I managed to set up some traps for her to fall into. She was attempting to break into my house to get tangled up in hatred with me. Instead of indulging, I looked for a way to get to her. We were two villains with clashing agendas. You’re walking through the pier at night. The moon glistens ominously over you, but you bask in its glow as if it were healing light. There are footsteps approaching little by little, a patient walk. As you turn around, his features come into focus and force you to step back a little. It’s him, your beloved Hierophant. His face is chalk white and his features are aggressive. His hair is as you remember it, long and black with a blonde streak over where his ears should be. His face is framed with thick brows and his deep brown eyes are lit with darkness glistening in them. They look like black jewels that mirror your own eyes. As he comes closer, you marvel at how beautiful he looks in the black mantle you designed in your mind’s eye. There are black jewels glistening inside, but white fur lining like that of a King’s. As he steps closer, you start to feel cold. You are captivated enough not to be able to move, but then you realize his psychic tentacles are keeping you in place. You literally cannot move. Instead of panic, there is surrender. He is standing right in front of you now and he reaches forward to touch your cheek. You close your eyes because you don’t want to see what happens next. He steps forward to kiss you, and you feel your soul start to leave your body. It is what he wanted all along. GR stands close by, staring through his deep blue eyes. I remembered all the good times we had in college, and how we never used to have much in common other than the music that we liked. It wasn’t enough to keep us away from one another. He grinned and disappeared into the darkness. You are walking through a very wide road flanked by deep forests in the middle of the day. A faint noise turns out to be the distant gallops of horses marching over in unison. They step in synchronization, and soon their gallop vibrates through you. The ground starts to shake as they come closer. There were at least fifty of them drawing a grand chariot. They were in perfect formation, with thick black fur and red gears. There were men in royal red uniforms riding them, all with perfect postures. They went quickly, so much in fact that you were struck with awe. You couldn’t move as you gazed upon their magnificence. Just think of how magnificent the person inside the chariot must be. It would not be long before you would once more find yourself alone on this road. With a large group of Ringling kids at an equally large building as big as the San Diego Convention Center, if not bigger. There were electric stairs and many, many floors with many, many rooms. The whole building was full of people, we marveled at how many in fact. We went through the floors one by one to accompany someone to a big interview to a big company. The team that was interviewing him was actually very dynamic and made us laugh a few times. There was applause coming from the elevator and I got a huge gift with tons of clothes and other stuff. It made me smile because of how thoughtful it was. I smiled real wide. The gift was lovely. There were shirts of birds kissing and even video game characters. Before long, GR comes up to me and we started to kiss. Our lips met slowly, then we started to make out more passionately. It got really fierce as we went along. I woke up confused and a little embarrassed about it. Dreamland has been my escape from reality more than once in the past few weeks. I have found solace in a parallel world that feels so personal and yet so very detached from my reality. 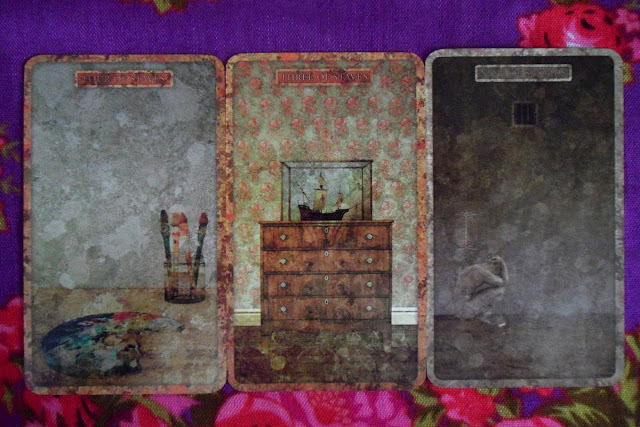 It has been fun — and sometimes a little embarrassing — to share with you the dreams that my tarot cards have prompted. Tonight will be the first time in a long time that I sleep without a tarot card under my pillow. 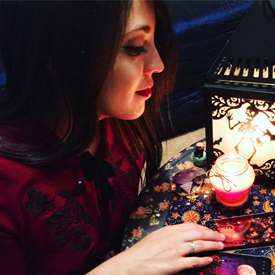 I want to share instead some impressions on the process of prompting tarot dreams and maybe even some dream analysis for continuous themes. They vary from person to person, but these have been especially noticeable to me. We have reached the end of our journey with the Vertigo Tarot Dream Diary. I am very pleased with the results. Thanks for keeping me company along the journey! — Leelahel on Wednesday, August 14, 2013 0 ♡ Comment! I had to do this spread over twice. Interestingly enough, both times it was heavily present with Wands. There is a lot of agitation in the air as well as action. Nothing is going slow; sometimes I pause and exclaim, “what the Hell, August! ?” This month has been full of madness thus far. 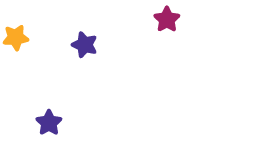 When I went to check out my Annual Review for this year, I found the Moon as August’s signifier. It makes sense, though, doesn’t it? We kicked August off on the wrong foot. 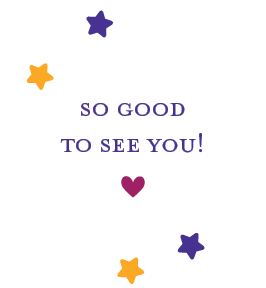 I started to receive some bad news from my clients and from close friends. Before long, my own life spiraled out of control and I found myself completely lost. I had no idea what I was doing, and two weeks into it, I still don’t. Things are getting better, though. Little by little, I feel that we are all setting our feet back on the ground. Be thankful if you’re grounded properly, because floating in uncertainty can get really frustrating. It’s so safe when your feet are on the ground! ♡ Monday. Page of Swords. Whether it is in person or on the internet, you are seriously exercising those vocal cords! There is no time to stop and think, but even then you still be getting calls and messages from people that need a bit of your time. It’s how you keep the balance going that defines your success. ♡ Tuesday. Ace of Wands. Fire, fire! Doing what you love is really motivational, but at times it can also burn through a lot of energy. In a week in which the suit of Wands is so dominant, try to save some energy for later. Don’t burn it all out unless you want to drag through the week being tired. ♡ Wednesday. The World. This could be the opportunity you have been waiting for. It’s time to get plans in action or at least mobilize some plans. Whatever your green light is for, be open to changes that come with opportunities and be the best of yourself that you can. It will pay off in the long run. ♡ Thursday. Queen of Wands. She looks so sweet for a Queen of Wands. Just look, she’s sitting on her swing, enjoying the sunlight and the birds chirping. It’s hard not to feel happy when things start to look up, but don’t get distracted by how great everything is going. Keep pushing forward, and take advantage of the fact you’re standing out. ♡ Friday. Knight of Wands. Fast action. Okay, make haste! — Do try not to be too impulsive, though. When you’re running forward, you might forget to pause and glance to the sides. It could help prevent a painful collision that you would not notice otherwise while you are charging. Going in the spirit of the moment can be a great thrill, though. Go with it! ♡ Saturday. Page of Wands. The energy trickles down little by little, but is not yet extinguished. This card can be a naughty manifestation in your life. It could mean you misbehave with good intentions or that you find yourself acting younger than you are used to. It could also be you are handling someone acting childishly and impulsive. Be careful not to break anything! ♡ Sunday. The Emperor. This day is centered on getting grounded; the race is over. Take it a step at a time and review all that you have done during the week. If you need rest, then take a rest. Don’t let yourself get dragged by the current, be the one in control of it. ♡ What to avoid. Nine of Wands. It’s easy to get burnt out when you’re constantly on the go or dealing with multiple responsibilities. I feel you, I’ve been there too! Just take it a day at a time; if you can, give it that final push to get where you need to go. Don’t give up. ♡ What to strive for. Eight of Wands. You’re going to get a lot of interaction, whether it is from text messages or not. People will be looking for you, unexpected plans will be squeezed into an already packed agenda, and you will have to make it work. I’m rooting for you! Time is flying by, so keep up with the pace and I'll see you on the other side! — Leelahel on Monday, August 12, 2013 0 ♡ Comment! When I first heard about this tarot deck, it looked very different. 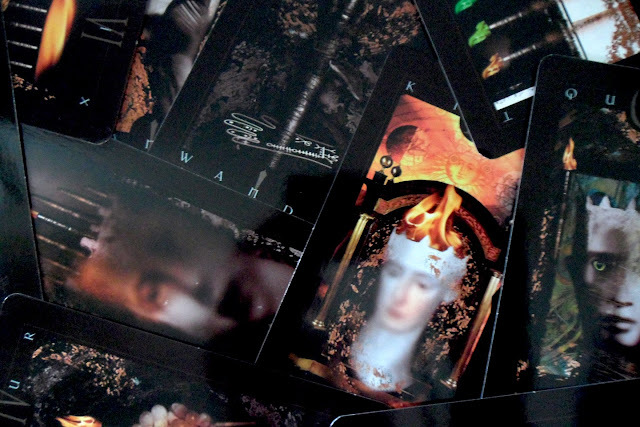 The style was more or less the same, but the artist had a change of circumstance that led to a full rework of the Tyldwick Tarot. Neil Lovell ended up changing the whole deck, it looked very different the second time around he made it. The product is literally a labor of love, because you can see how much of himself he put in this project. The concept is flushed out, it has thought put into the small details and its nuances, which are part of what I like so much about it. I first saw it sometime in 2008 if I am not mistaken. There were only a few images up on a web site that had looping music and took names for deck reservations. I found the images quite lovely, because they gave you a sense of place without showing people in them. You could tell what kind of people would inhabit these rooms, and I found that absolutely enchanting. I placed my order asking for deck #16 and punched in an e-mail that isn't even in use anymore. The years spilled one onto the other and I never heard back from Neil, but I kept a close eye on the conversation over at Aeclectic. We waited and waited; somehow, we never lost hope that it would be published. Finally he made a Facebook page that I have been shamelessly stalking since. We got the word that it would be published this year, and so wait we did. It wasn’t easy, but I think he had it hardest. The day I got the package, I rushed inside with it and locked myself in my room. I took care in not ripping anything, but it was very hard for me to contain my excitement. The cards glide easily, you can fan them out without much of an afterthought. They are standard size and will fit any hand easily. Their gilding is exquisite. I’m sorry, I know that’s a big word, but that’s what it is! It is sleek and not at all chunky. It’s hard to resist when the material makes it so easy for you to spread them over any cloth you fancy. Something that makes it easy to read is that the — unobtrusive — borders remind you of which suit it is with the color. It’s hard to confuse the suits together. 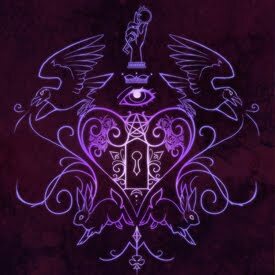 The Major Arcana is generally centered around a human figure. The only card without a title is Death, I’ll bet you get a traditional kick out of that. Also, Strength is 11 and Justice is 8. I was very surprised to find such a strong human element in the cards since they lack living people. That doesn’t mean they lack human figures or emotions, though. You can see masks, a shadowed visage here and there, and some full human bodies. I would like to clarify that they feel otherworldly, but not entirely detached. The faces really speak to me, more so than the room they find themselves in because it IS their room. I feel like they are 'guardian spirits' or 'sprites' found in their surroundings. It's very strange; I have not felt this in a tarot deck before. The silence in the room screams. Intuitive readers will get a real big kick out of that. The cards that really push the composition inspire me most. There are some in which there is a lot of white space; I find them true to their number and suit. Many will have trouble figuring out the meanings without prior RWS knowledge, but then I don’t think this is a deck that is really going to aid all beginners until Neil publishes a book about it. It feels like you need to be familiar with the RWS to really appreciate this deck, and since it is a limited edition anyway, I find it to be as exclusive as a collector’s item. If you connect with it and you have no previous knowledge, though, I strongly recommend you give this a shot. There is certainly room for exploration if you are an expert reader, which means a novice will find more than enough substance to stay occupied in tarot studies. After all, the person who pointed out this deck to me was, in fact, a beginner to the tarot. 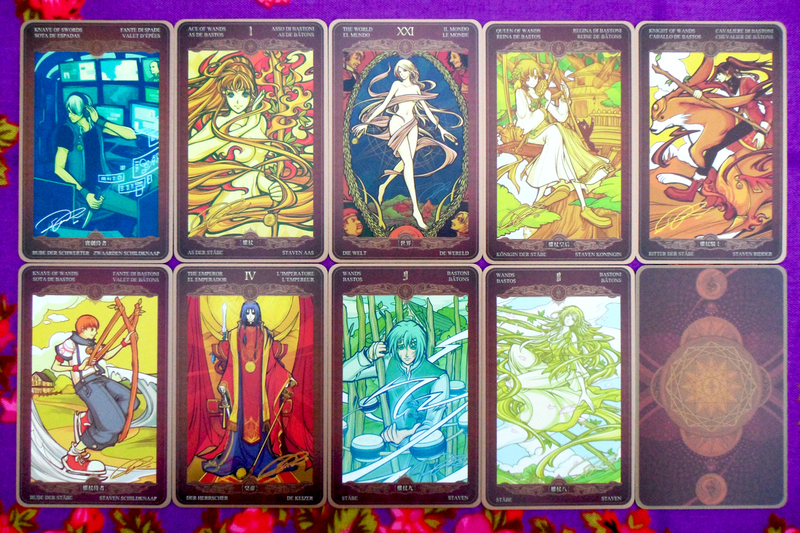 You don’t need to be an elite pro to appreciate beauty, and this tarot deck is valid proof of that. Two aces. 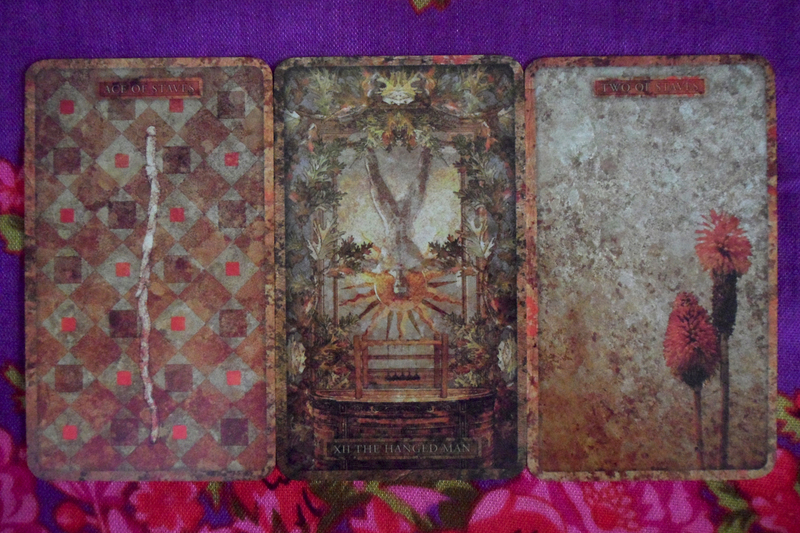 This spread is mostly Wands dominant, pertaining to creativity, fire and passion. That's quite appropriate given this tarot deck's background, isn't it? Ace of Cups. As stated before, this is a labor of love. It spreads Neil’s love for tarot, his vision as he intended it to be; but also leaves it open to whatever the reader feels. There are no boundaries or limits, the deck is a newborn and is ready to take on the challenges of this world with pride. Seven of Staves. This one made me laugh because of how true it is. 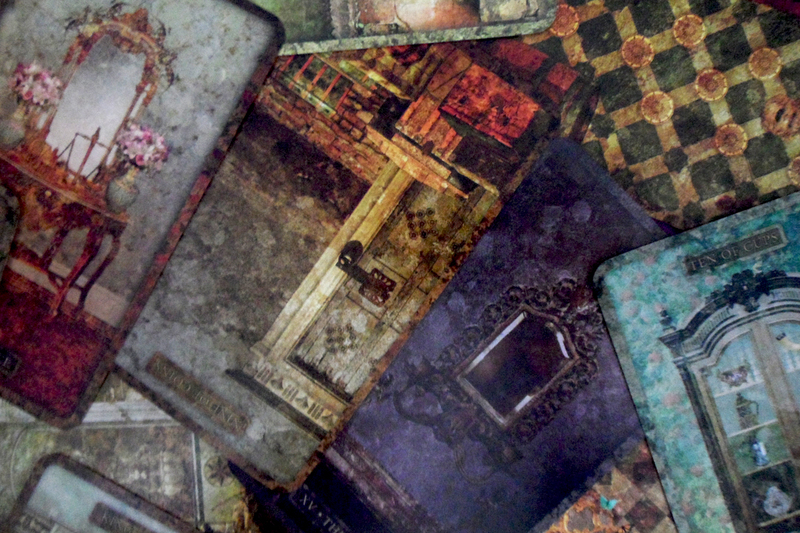 This tarot deck had all of the odds opposing it, and it still managed to make it through. It is an assembled army of 78 soldiers that really wanted to make it. They wanted to go out into the world to explore and protect, and I am proud to say they sure accomplished it. Queen of Staves. The Queen of Staves is actually staring right back out at us as if we were interrupting her afternoon tea with a very important guest. Her gaze says it all; “don’t you dare cross me!” The tone I can imagine her saying it in is quite scary. It’s not a deck for the skeptic or the disrespectful. If someone gets impatient because the rooms don’t speak to them, that will be the sign to meditate a little. Get grounded so you can actually start to feel what this deck is trying to say. You won’t have the familiar RWS figures holding your hand the whole way. Oh no — you’re on your own! If you don’t have the confidence, this deck is not about to hand it over freely. You need to earn it through trial and error. Ace of Wands. Passion, passion, passion. There are many patterns present that are not obvious to the eye at first, but that will make themselves present the more you look into them. 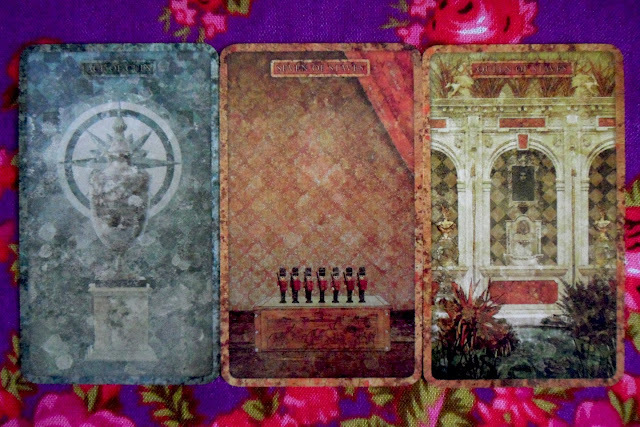 Look for different symbols that stand out in every reading, regard them as queues to light the way of your journey. The Hanged Man. Just sit back comfortably and let it come to you. You don’t always need to be the one that leads the session. When you are grounded (or up-side-down) and paying attention to the signs, they come to you naturally. You will find answers in methods that were not effective before, but that’s part of the journey. Most importantly, it’s how you learn. Two of Wands. It seems balanced out, neither loud nor quiet. It will be there when you need it, but it won’t be pressing you to constantly check it if you don’t. I feel strongly that the balance is in recognizing when you need to quiet your mind to tune into what it’s really trying to say. I live my life so fast sometimes that I believe I really must try that. 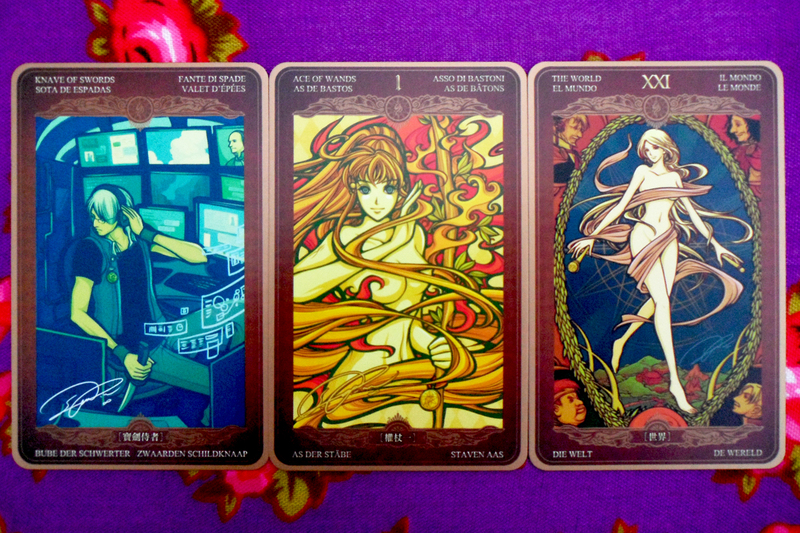 Four of Wands. I laughed so hard again! It shows an artist’s work space. That’s clever! This is a work of art. It is! It doesn’t look like it was crafted by someone at first glance because it’s just so perfect. But once you lean in and you look at the little details, you will start to see that it was built up out of many photos and made to fit a system. There was a lot more work put into it than meets the eye, so respect it. It deserves the respect. Three of Wands. This is true. I’m leaving home soon and moving far away, so I am in a transitional point. This ship is a symbol for an adventure and a long voyage. Seeing it in a box resonates deeply with me, because I am a wandering soul that feels caged up. Seeing the ship in the box stands as an accurate depiction of how I have felt the past three years of my life. 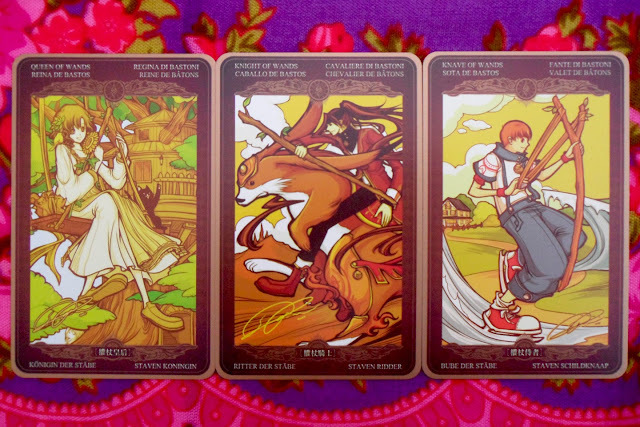 As if by coincidence, this tarot deck reminds me that it’ll soon be time to roam free. 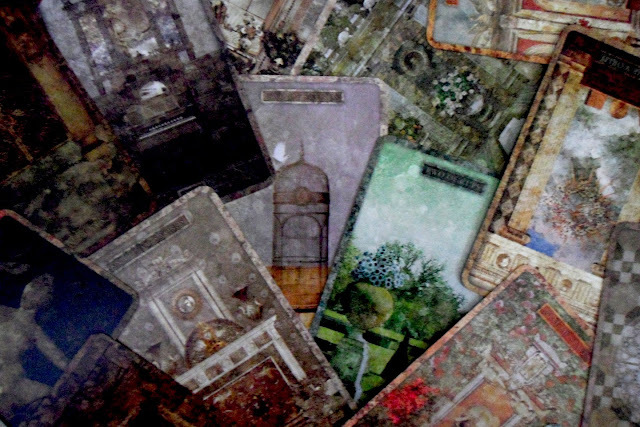 I will be taking this tarot deck along for the journey, so let’s see how it’s perception changes along with mine. Nine of Swords. This one was unexpected. I had to think about it for a while, because I could not immediately draw a connection. 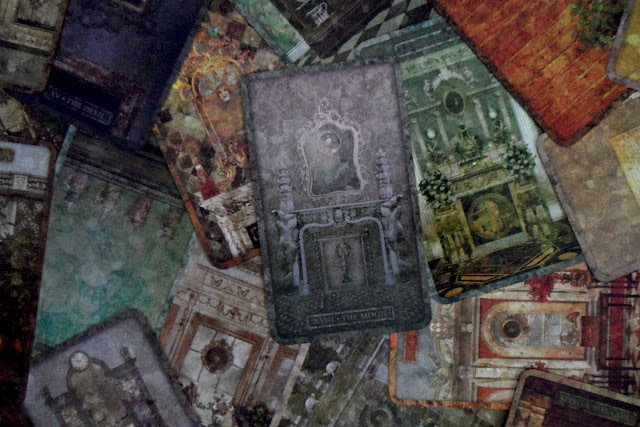 Vertigo Tarot had the same card for me, but for the Tyldwick Tarot itself it takes a new connotation. I feel like there was a lot of doubt the deck would come out, but it managed to in the end. I do not know Neil personally and I do not wish to act as if I know this for sure, because I don’t. I’m just going to respectfully interpret the card as a deck of very heavy ideas. There is a lot of feeling bottled up in this creation, as well as many ideas that are striking. You can expect to be rattled when you read with this deck… I was when I conducted this interview, and it’s my first draw from it! Wow. That was really special. I felt very connected to the manner in which the cards speak. The tone is serious even though to me the message was quite clear. I anticipate using it in personal readings for myself. It would be a delight to read with it for other people, but I don’t want to exploit a tarot deck that I feel is a real jewel in my collection. I’m not going to keep it tucked away in a box, though. This deck is going to see some mileage. Come 2020, I think it will have been worn down with lots of love. I want to note also that this deck has experimental qualities. It can be mixed and matched with oracles, or left as its own sacred unit. 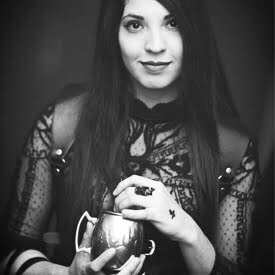 I particularly enjoy using it alongside Kat Black's Golden Tarot, and mean that as a compliment. I feel like the styles converge, even though the time spans definitely do not. If human figures are necessary, accompanying the Tyldwick Tarot with the Golden Tarot could be somewhat of a treat. I will make a post later to prove this point, because I do believe strongly in it. I realize that my admiration for his work has made me seem a little deranged whenever I wrote reminders to him. I don't apologize for that, it is my duty as a tarot lover and modest collector! I hope he understands… Sorry, Neil Lovell. I love your work! — Leelahel on Friday, August 09, 2013 3 ♡ Comment! J and I traveled far. We reached a place that held retro boxed toys and curiosities from back in the day. Some dated back to the 1800s and even 1700s, others were much more recent. The whole place had an air of melancholy and loneliness that was hard to shake off. Getting a good look around, I realized I’ve been here before. There is always a bit of a mobile feeling to the area, since everything is kept under tents. There are shiny red pickup trucks that shouldn’t still work, but stand the test of time in pristine condition. We went off to be together, enjoying all the treasures that were there. We laughed a laughter that echoed through time. J, my family and I went on an excursion to the Buddha’s temple, then to an ancient Egyptian one. Setting some incense for buddha, abell rang in the distance, which meant he was listening to you. It was like a summon; you went inside with prayer and a wish he would grant for you. Everyone left me behind; I felt angry that I had to run to catch up. The ruins were carved in stone and stretched for miles. Then I got to the sacred site, everyone had already been granted an audience. They lay over lush red rugs and rested their backs against gold embroidered pillows. The wealth of the temple was staggering. My were enlightened and transformed, so they didn’t know or notice how angry I was. J and I went to the Temple of a female Egyptian Pharaoh. I felt a large connection to her burial ground. As we descend the stairs, she materializes before us in a gorgeous white dress that shimmered. Divinity flows through her. Her attention diverted to J as I crept down to the basement of the site. I started to draw whimsical scenes that materialized of her with blossoms and whimsical streams of water. 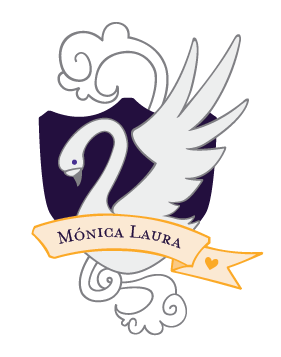 I also made manifest a dragon perched on some branches, and a portrait of J and I as lovers. Sitting in the bus, wanting to hit up the bar. Watching traffic that is heavy, with people that aren’t smiling and look as if they would much rather be doing someplace else. They’re all in their work clothes. It Feels lonely. You don’t really need to know where you’re going to know you’re headed somewhere. Sometimes your sense of direction is cut, or not as good as it used to be and you find yourself lost amongst those who know exactly where they are going. It’s okay to be lost. It’s okay not to want to be a part of this at all. Visited and waited to play games with a neighbor that never came outside. The day was bright; there were birds in the trees and not many clouds in the sky. At age nine, everything looks beautiful and everything is as it is supposed to be. It escapes reason to think that very soon things will get so complicated. Such is the way of life, an endless cycle that stretches on and on. Stood in line quietly at a near empty grocery store and watched people carry out their daily shopping. Some people held bags, others pushed shopping carts around the store. It’s amazing how time can flow when you’re not moving and everyone else is, but you feel static. 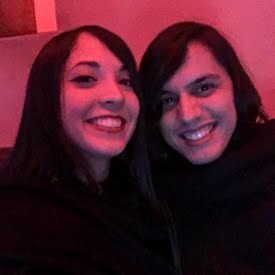 Went clubbing at a smaller Castle in Ybor venue, then to a bigger one. The strobe lights hit people differently, it was almost as if the lights reflected their souls. Some came alive with vivid red and orange, while others had discrete camouflage with blue and purple. You could tell the psychic vampires apart from the indigos as well as those that fell right in between. Took J to an airport, watched him go on his way to the portal as I made my way back home on the other side of the airport. We were at a small airport in a dark place, felt like a limbo. He was heading to Helsinki, I was heading to Puerto Rico. The loneliness didn’t strike until we were both past the checkpoint, at which we both realized we were alone. When you miss someone, you keep nice portraits of them. As the years roll by, you might be faced with different ones of people you are no longer familiar with. It happens when we move on and let memories collect dust. The photos seem faded, an indication that it has been a long time since the first time you gazed upon them. iro Marchetti came to my school for a conference on his collection and his life’s work in the tarot. It would be the period after the current one, and I had been searching for Jean during the day to remind him so that he wouldn’t miss it. He came into class late with a box in his hand. His face was disfigured with pain. Jean avoided me because his friend died. He met Ciro privately before hos conference and got some advice in every matter from the industry to his personal life. He seemed to calm down as the rest of the period finished, but would not look my way. On my way to the auditorium, I felt something sink in my stomach. When I sat in the second row, none other than Ciro himself was walking past. He cracked a joke with us and I told him I am a big fan of his work. We compared favorites in our collection before he started his presentation. Jean was nowhere to be found, he was going through a hard time. He must have gone home. Drove to summer camp, which I haven’t been to in years, and made it in a faraway area. It seemed to be a training ground for different teams. The mustard ellow shirts were to the far right, and to the far left you could see the ones in the cerulean shirts working out on the beach. Felt curious eyes falling on me as I walked off to the right. I explained I was part of a dance team, but life got in the way and knocked me from my path. They were empathic. Once I told them the story, I asked whether or not they wanted me in the team. They rushed forward and embraced me. Teams were differentiated by color, together they were ten. Mine was mustard yellow, just like old times. I found myself in a school with a friend I have not met before. She kept having anxiety attacks because she was being raped by a teacher and had no other way of defending herself. I was her only solace. Every time she had a panic attack, I would help calm her down. The rest of the school was used to her erratic behavior and didn’t care much whenever a new episode started. It happened almost every day when she had to sit through his class. Her hands trembled the whole time. While teachers suggested medical treatment, parents suggested she be expulsed or sent off to a mental institution. It was painful to endure. I’m a part of something much larger than myself. Its like a dragon nesting tower, it reminds me of a tree without bark. People arrive on dragon’s wings and dive into the tower. The dragons perch and become part of the outer structure. It looks amazing when you’re at the base of the trunk, but is easy to miss when you’re almost at the top. This has a feeling of nature in balance that is hard to shake. What a peaceful and magical place. These dreams are getting eventful! There is something bittersweet about nearing the end. 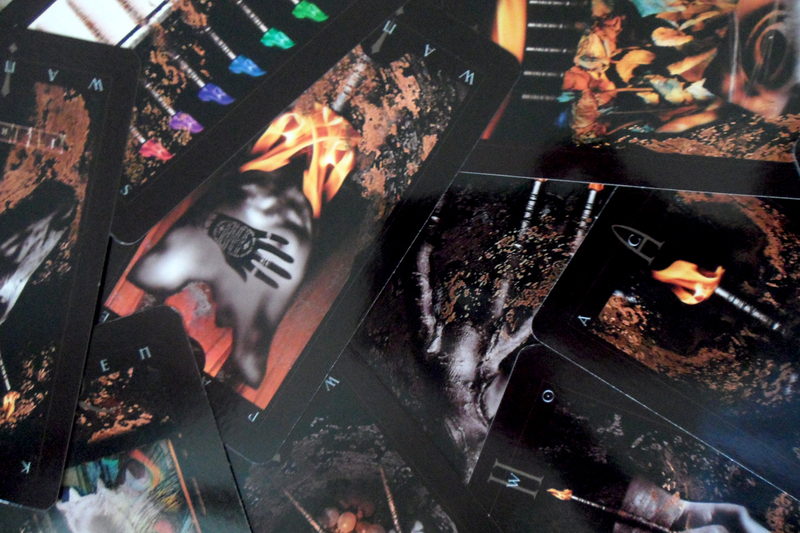 We have seven cards to go before we are done with the Vertigo Tarot dreams. 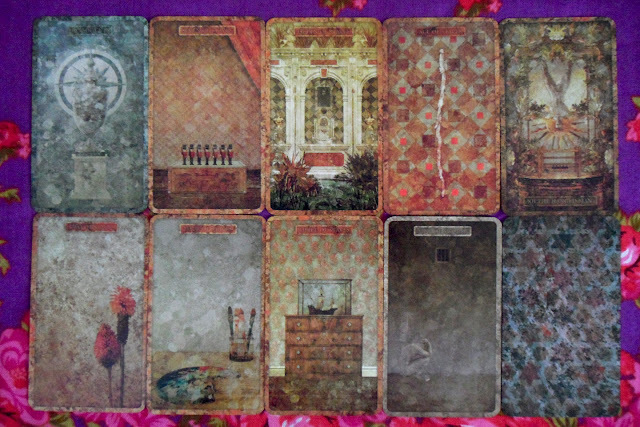 It would be nice to continue with oracle card decks or even Lenormands, but before it gets experimental, I want to share with you some personal observations from the Tarot Diary experience. Have you had any special tarot dreams you would like to share with me? Comment below! — Leelahel on Wednesday, August 07, 2013 0 ♡ Comment!